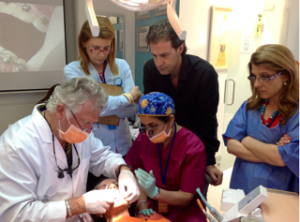 When you attend one of our Masters Continuum Courses, you receive instruction from world renowned orthodontists and hands-on experience that will impact the way you practice orthodontics. These small group, 3 day courses are designed to teach the fine points of orthodontic diagnosis, treatment planning and treatment mechanics. Module 4 will cover the below information and end the 2 year course with a final presentation of the enrollee’s cases. Now approaching our 6th Masters Continuum Program! Become a part of our OE community.